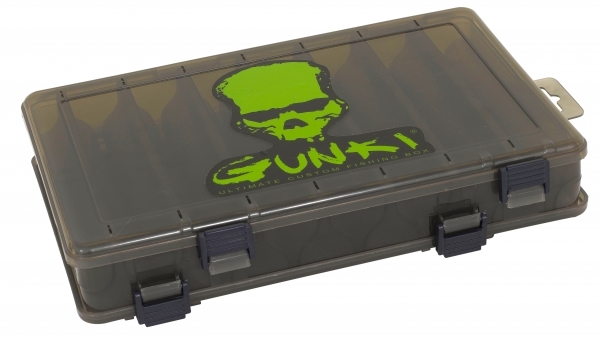 Gunki Plug Boxes come in two sized boxes designed specifically for storing plugs safely without getting the hooks tangled up. Small - 21cm x 5cm x 17cm. Large - 27.5cm x 5cm x 18.5cm.